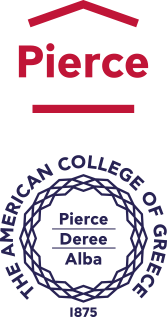 The American College of Greece | Commencement 2014: Congratulations, Classes of 2014! Home » News & Events » News » Commencement 2014: Congratulations, Classes of 2014! Commencement 2014: Congratulations, Classes of 2014! The 2014 DEREE Commencement was held on Saturday June 28 at the ACG stadium in a heartwarming atmosphere of joy and excitement. Amid applause and cheers from thousands of parents, friends and faculty, over 300 DEREE graduating students received their Bachelor’s and Master’s degrees from the President of The American College of Greece, Dr. David G. Horner. “Embrace learning as a lifelong journey. Reflect with gratitude on all that you have been given and give generously to others. Be the future!” These were the motivational words that Dr. David G. Horner addressed to the graduating students of DEREE – The American College of Greece, conveying a message of hope and success. During the ceremony, Dr. Linda P. B. Katehi, Chancellor of the University of California, Davis, received the honorary Doctor of Science degree from the American College of Greece. “You are the generation of leaders who will guide Greece forward and you now have the education to get started. Let your hearts and passions guide you. Give birth to the new Greece from the ashes of the economic crisis” said Dr. Katehi in an inspiring and motivating speech, advising students to pursue their dreams and hopes – their own “Ithakas”. Angelina Giovani, the student Commencement speaker, urged her fellow students to pass on DEREE’s legacy and fight passionately to achieve their goals. The graduating students received degrees accredited by the US New England Association of Schools and Colleges (NEASC) and validated by the Open University of the United Kingdom, with which the DEREE has signed a wide-ranging cooperation agreement. Moreover, two students were presented the Achievement Award for their exceptional academic performance. The spirit of celebration was prominent throughout the ceremony; when the spectacular fireworks lit up the sky over the Aghia Paraskevi campus and hundreds of graduation caps were thrown high in the air, the message for the graduating students became clear: Starting tonight, the only way is up! Congratulations, Classes of 2014! However, The American College of Greece will not say farewell to its graduates. On the contrary, it will welcome its newest alumni to an engaging and powerful network of 37,000 members who impersonate ACG’s values around the world. Commencement 2014 was attended by many distinguished guests, including members of the Greek Parliament, members of the academic community, ambassadors of foreign nations, and representatives of local governments and the business world. The ceremony received broad media coverage and was broadcast online through live streaming, offering the opportunity to a broader audience to share the excitement of the graduates and view the experience that makes DEREE stand out as an exemplary transformative education institution.